With our second of three quarters drawing to a close I find it to be a good time to reflect a bit on some of the experiences I have had thus far as a Stanford golfer and student. There have been many highs, a considerable number of lows, and everything in between. All things considered, it’s been a fantastic six months. We have an awesome team of hardworking, dedicated student athletes who are determined to have success in the coming months. Pair that with two fantastic coaches and I see great opportunity for our program. But before spring quarter is upon us, let me revisit some of my fall and winter quarter experiences. 1. Ride with Caution: Stanford students are extremely bright; however, I’ve found there to be an indirect correlation between intellectual horsepower and bike riding competence which makes riding to class in large groups of people rather treacherous. Ride accordingly. Unfortunately, I (my right wrist) learned this one the hard way. 2. To Be or Not To Be: “Who’s that guy?” A question that Coach Ray often challenges us with in team meetings. “That guy” can be the one who stays late to get in extra work after practice, finds time for additional workouts, or identifies himself as the strongest player on the team. Conversely, he can be the one who never seems to be seen practicing at Siebel (our practice facility) on the weekends, shows up last to every team gathering, or doesn’t respond promptly to important team texts and emails. Whether he is someone you want to be or don’t want to be is indefinite; however, the coaches will certainly be keeping tabs on the matter. You should too. 3. Where’s Waldo? : Being from North Carolina, my favorite thing to do other than play golf is hunt, so naturally there are a few pieces of camouflage clothing that made my college wardrobe. While I typically wear camo with the intention of blending into my environment, I can guarantee you that I do not blend in on Stanford’s campus. Not even in the slightest. 4. Rain Rain Go Away: Have you ever been told that it “doesn’t rain” at Stanford? It’s a lie. 5. Top Courses: By my count we have played 10 top 100 courses in the world depending on which rankings you look at. I have been told before that it typically takes about 5 years to play all 100, so with 10 down in the past six months we seem to be pretty well on pace. 6. 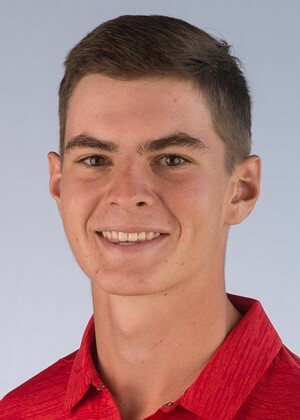 Hot Start: Being a freshman, our Scotland trip was my first experience with and introduction to the Stanford Golf Program. Not a bad way to kick off my four years here. We played 10 incredible courses, stayed in amazing places, had a great group of Stanford golf supporters and friends come along with us, and most importantly had an absolute blast. Cheers to Connoisseur Golf for being fantastic trip hosts. 7. Stick to Your Guns: It is wise to take classes in subjects you are familiar with and that won’t be excessively difficult in your first quarter at Stanford. Your GPA, golf game, and self-esteem will thank you. Choose the right ones and fall quarter will be great, choose the wrong ones and you may be in for a ride. There is certainly an academic adjustment period for freshman learning how to operate on a college academic format. Balancing that with trying to get your feet wet as a college golfer can be a formidable challenge if you end up with a surprise class or two that happens to be an excessive workload or just plain hard. Fellow freshman Dakota McNealy and I experienced this in taking Petroleum Engineering and Computer Science, respectively. 8. A Who’s Who of Handshakes: One of the things that makes our program so neat is the people that surround it. Whether it be PGA Tour players, notable businessmen, or famous television personalities, always dress appropriately and keep a clean haircut, because you never know who might be hanging around. 9. Come Hungry, Leave Happy: Thanks to a 2014 change in NCAA policy driven by UConn men’s basketball’s Shabazz Napier, we are now allowed to be fed as many snacks as possible. Consequently, the Stanford Varsity Golf Clubhouse is always stocked with all sorts of snacks and drinks to be eaten whenever we need them. As a group of 19-21-year-old college boys, you can imagine that this is a resource that is fully taken advantage of every day. If you ever see a yogurt parfait in the refrigerator don’t be hesitant to act quickly because it won’t be there in 5 minutes. 10. Switch it up: While we have pretty solid dining hall food at Stanford relative to many other colleges, it is, and will always be, college dining hall food. That being said, it is critical to not eat at the same one for every meal. Most of the dining halls have some sort of theme, for example my dining hall, Wilbur, is Asian themed. Stern, just across the street, is Mexican themed, so there are different options. I typically try to never eat at the same one for consecutive meals. There are 7 or 8 of them in total so it is not too hard to keep yourself happy by not eating the same few meals over and over. 11. Four Leaf Clovers, Horseshoes, and the number 7: All things considered, we as Stanford golfers have a pretty incredible college golf experience that is advantageous for nothing but success both on and off the golf course. We are all extremely fortunate to be in the position we are in and have the opportunities we have as Stanford golfers. This is something none of us take for granted and use as daily motivation to work hard to continue to breed the success that this program is built on. Thank you all for reading and for being supporters of Stanford Men’s Golf.